Android vs. iPhone, Which One Is Best For You? Android and iPhone users have been fighting like brats for quite a long time. If we talk about the bitter reality, Android has an edge over iPhone when it comes to customization. At least you don’t really need to jailbreak Android set every time to access your favorite apps unlike iPhone. Android is based on flexible architecture that provides high level customization for its users, so that they could avail the most of it. On the contrary, personalization gets tougher in iPhone. Let us look upon some major features that Android users take easily, while remain to be a curse for iPhone users. iPhone users seem to strive hard for getting different styled keyboard on their sets. If you are one of the iPhone users, having desire to give your keyboard a fresh, new look then Alas! You can’t really do it without having your set jail-broken. But Android offers a variety of keyboard functions ranging from Swype to Swiftkey. Seems Google team has invested its perfect share in assuring the flexibility of their mobile OS. The customization doesn't end with Keyboard. Android provides multiple launching options based on its user’s taste. Each launcher is equipped with different functions, themes and interactive features of home screen. On the contrary, iPhone acquires typical Apple-made-launcher that comes with similar features with every version. Android is richer when it comes to count on widgets. Working on the policy of “Variety is the spice of life”, Android has done a remarkable job in offering nifty tools that provide instant access to your favorite apps. On the other hand, iOS lacks in providing widgets to its users. iPhone’s user interface is one of the USPs for Apple. The usual iPhone home screen carries 4x4 sized screen icons and four buttons along the bottom bar for daily used apps. However, other than wallpaper personalization, and reshuffling of icons, iPhone users aren’t able to play much with the interface. For instance, users cannot move an icon directly from top to bottom. All the icons are lined up in a sequence that annoys a person. Juxtaposing it with Android, the user interface is flexible enough to drag and drop the icons on any location as you desire. This way you can easily personalize your device home screens in the way you like it to be. Android acquires some captivating, well creative features in terms of its wallpapers that greatly enhance the look and feel of the device. 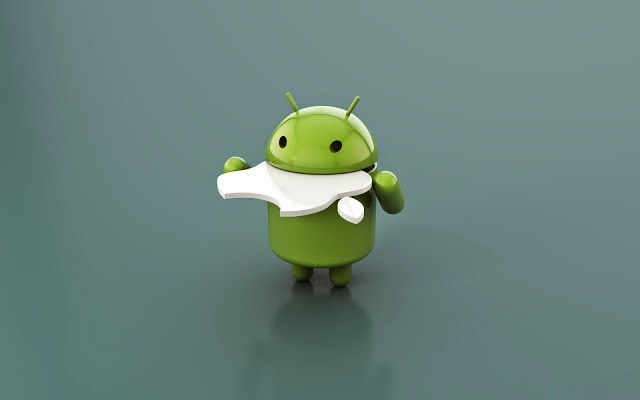 Android allows its user to make choices for resizing or scrolling the chosen wallpaper. The “scrollable” option allows you to easily switch between the different pages of your home screen. Moreover, another appeal that Android has for its users in terms of wallpapers is that it offers live, animated wallpapers. Incredible isn’t it? These live wallpapers generate real time data such as weather, videos or other content for the device owner. Regardless of iPhone’s infinite popularity, Android takes the lead when it comes to greater flexibility and customization.